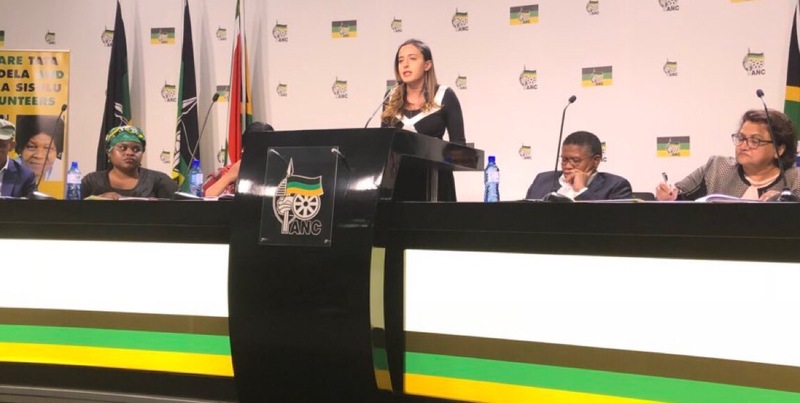 In the past few months, the educational achievements of many of South Africaâ€™s young politicians and activists have been celebrated. But a university degree does not necessarily suggest knowledge. 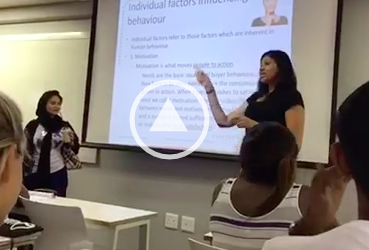 The westernised South African university fails to nurture positive solutions and critical ideas that can shape thought leaders and role models into public intellectuals who contribute to the building and healing of a traumatised society. In fact, what we see in persons like Julius Malema is the use of populist rhetoric and a mismanagement of words, contributing to further fragmentation. This is symptomatic of the systemic violence in our daily lives, writes QURAYSHA ISMAIL SOOLIMAN. Violence is far more pervasive and invasive than most of us care to admit or acknowledge, and it underlies many cherished ideals and institutions including education and the spaces of academia. In this regard, the recently graduated Economic Freedom Fighters (EFF) leader is a typical example of how a university education does not necessarily translate into the development of individuals who are bearers of knowledge and wisdom. In fact, what his education has done is to reinforce colonial tropes â€“ creating instead a populist, not a public intellectual. These are individuals who believe that they are â€˜educatedâ€™ without interrogating the nature and reason of that education, often confusing between having information and having knowledge. Information carriers have facts, but do not know how to interpret or manage those facts. Knowledge allows one to know what is right and what is wrong, wisdom is the ability to do something about it. The westernised education system in South Africa rarely offers the knowledge-wisdom â€˜product.â€™ What we have is curriculum not focused on well-being, but on profit. Values and ideas are replicated in order to churn out the ideal, non-critical graduate. Malemaâ€™s comment at a North West rally on Youth Day, that the majority of Indians are racist points to this. The discussion on racism in South Africa has generated significant academic debate and has been profoundly interrogated by young academic public intellectuals such as Ndumiso Dladla and Joel Modiri. Dladla argues that the South African academic philosophy has been ignorant of the problem of race and racism, until recently. This is an important statement, considering the centrality of race in the â€œconstruction of the idea of South Africaâ€Â¹ and the impact it has had on its people over the last 400 years. As a result, although race and racism may be dabbled with in the academia, there is a preoccupation with concepts and definitions independent of the historical context. Thus, the limitations of concepts and the vagueness of definitions associated with them point to the violence in knowledge and the power in language to control specific perspectives. In responding to Rhodes University trained analytic philosopher Eusebius McKaiserâ€™s essay, â€œHeard the one about Blacks who canâ€™t be racist?â€ Dladla brilliantly critiques McKaiserâ€™s ahistorical definition of racism as â€œprejudicial behaviour against another person on the basis of colour.â€ A summary of this critique is not possible here but should be engaged with by interested individuals. It is through this critique of McKaiserâ€™s rather academically poor arguments that one notices the impact of a westernised education that is neither relevant nor critical of itself and its content. In the South African context, academic public intellectuals like Mabogo More have extensively engaged with the works of Biko, Fanon and Toure amongst others to extract a definition of racism as understood by those who were subjected to it. Accordingly, racism is defined as â€œdiscrimination by a group against another for the purpose of subjugation or maintaining subjugation.â€Â² This definition of racism carries in it the understanding that the humanity of black people was negated whilst white people were elevated culturally, materially and symbolically into positions of superiority. In the South African context, if one was applying McKaiserâ€™s logic (as Malema is) then Indians are racist. But this would mean that he would have to concede that Blacks are/can be racist also. Â Alternatively, if one was to analyse racism from within the Africana tradition then Indians (and Blacks) cannot be racist. In South Africa economic, cultural (I would also argue, political) and symbolic power are still in the hands of whites and the subjugation of black people continues as a result of the system of neo-apartheidÂ³, not because Indians are subjugating black people. Malemaâ€™s inability to comprehend the nuances and impact of words and concepts when framing a discussion or elevating a point of valid contention (such as the exploitation of black workers), points to a failure in his education. The information accumulated does not reflect either knowledge or wisdom. Knowledge is crucial for building cohesiveness, tolerance and understanding of diverse peoples and their struggles. The demagoguery of populist leaders plays into fears of continued impoverishment and the emotions of betrayal. The populist leader praises the singular identity – of belonging in our individual tribes whilst the public intellectual considers all possibilities of harmonising individual identities with plurality and multiplicity. For this leader, it is well being that counts, not more conflict. Leadership is about justice not misinformation. Dr. Quraysha Ismail Sooliman is a Postdoctoral research fellow at UP-Mellon Foundation (Public Intellectual Project). This is a very dangerous article because it seems to support the idea that one can do no wrong as long as one is/was oppressed, even if said oppression is defined by subjective individual opinions. In other words, “all acts of hate are justifed as long as perpetrator is not considered oppressed,” as if morality itself somehow does not apply to all people equally. This type of article perpetuates real discrimination and racial divide. 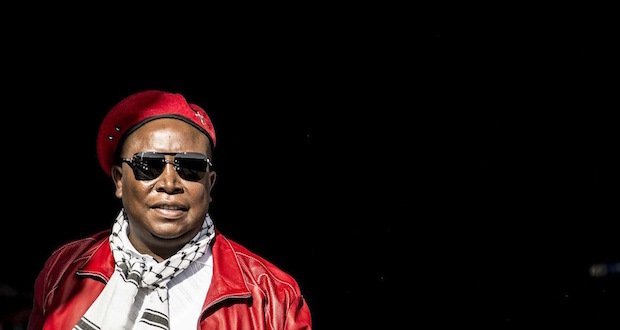 Malema’s definition of racism is in fact far closer to the truth even if his accusations of Indian people are not, and his self-awareness is non-existent. The article is also very poorly written in that it takes a long time to say not much at all except indulge in petty justification for a dangerous ideology. What all these people trying to re-define the word are referring to are racist systems not racist individuals. Yes, systemic racism does indeed exist and that generally (but not always) follows power relationships but racism between individuals is possible in any direction in the power relationship. A racist is one who judges another using skin colour as if it has a bearing on ones character or abilities. Julius malema has always been like that even before he got a degree. I read this whole article and I still don’t get the point you are trying to make here.